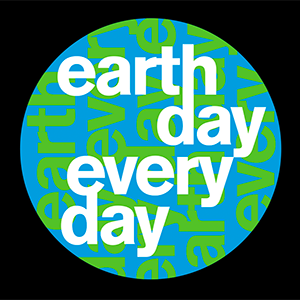 Humanity faces unprecedented challenges as we enter the Anthropocene – the epoch of our emergence as a planetary-scale force. Managing this future means finding new ways to manage ourselves. What are the implications for how we teach and learn? 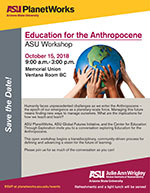 ASU PlanetWorks, ASU Global Futures Initiative, and the Center for Education Through Exploration invite you to a conversation exploring Education for the Anthropocene. This open workshop begins a transdisciplinary, community-driven process for defining and advancing a vision for the future of learning. Please join us for as much of the conversation as you can!